De Wereld van Thee - Delicacies & Drinks in Leeuwarden. De Wereld van Thee (World of Tea) takes you on a journey to all corners of the worlds to sample the most amazing types of tea. White, yellow, green, and black tea; tea with special melanges, herbal tea, rooibos – they have it all. Their motto is “to see, to smell, and to taste” for a reason: they have over 300 kinds of tea in the collection. All tea is also biological and Fair Trade (where possible). 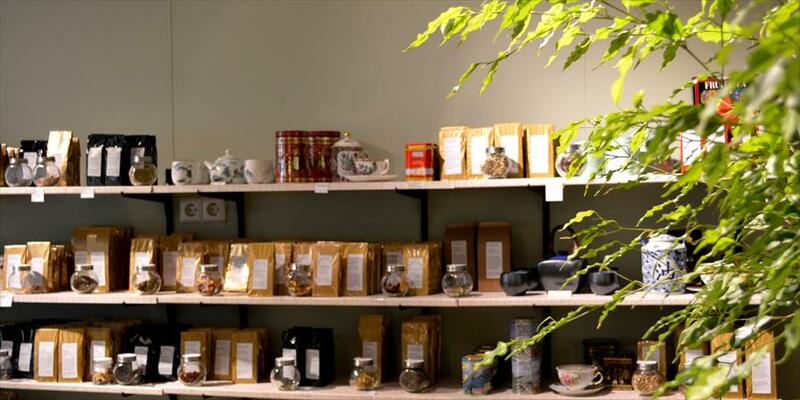 De Wereld van Thee is the only store in Leeuwarden with this unique and diverse collection. The tea specialists here truly know their craft. Are you looking for something to buy a tea lover, or perhaps a delicious cup of tea for yourself? Come and visit this delightful store! 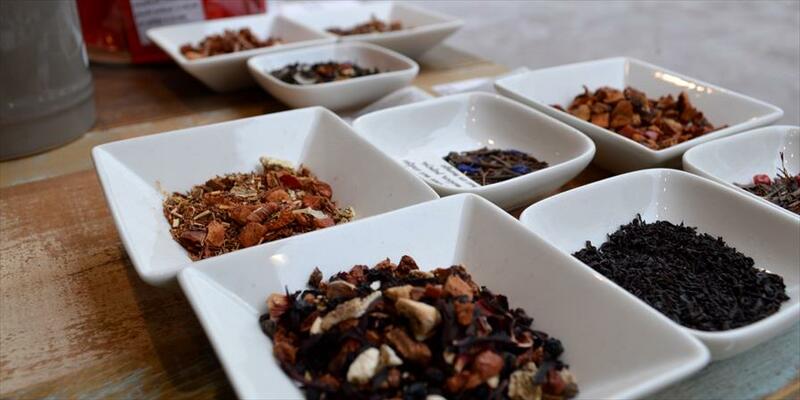 De Wereld van Thee is also a supplier to restaurants/cafes, and you can attend fun workshops about tea here. The atmosphere in the store is cozy. Besides tea, you can also find beautiful china and teapots from China and Japan here. Some customers call the store ‘museum-like’! Be sure to check out the many original gift packages. 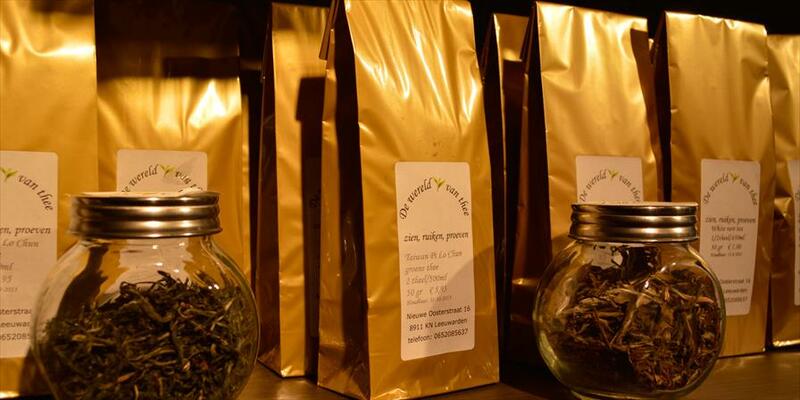 Take the fun tea package with historical persons from Leeuwarden. Certain types of tea are connected with these famous figures (such as Escher, Titia Bergsma, and Maria Louise). You can also find an original Elfstedenpakket – a package with 11 types of tea, one for each town in the province of Friesland. Great for a holiday gift or birthday present! The Nieuwe Oosterstraat is a fun street that you don’t want to miss when shopping in Leeuwarden. You’ll find many fun and unique stores here. 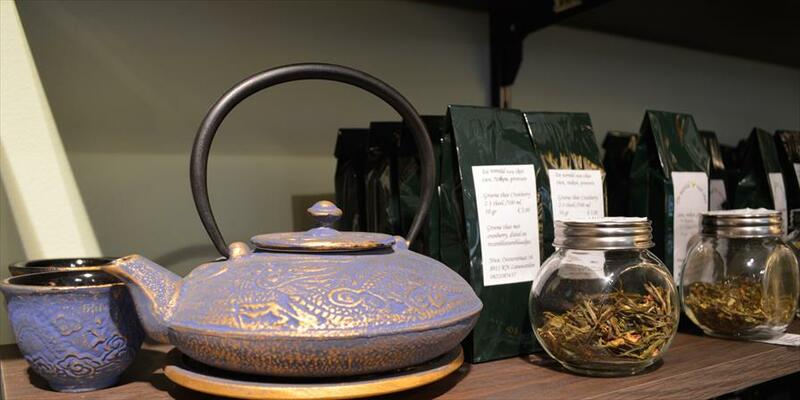 Over 300 types of tea, exclusive tea china, and teapots from across the globe!